Leads are the lifeblood of a successful B2B sales and marketing organization. Managing those precious leads within your Salesforce instance, though, can be challenging if you’re using traditional lead assignment rules. 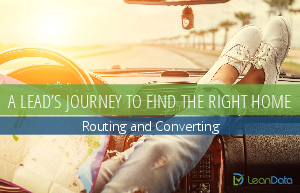 LeanData has created the next-generation lead routing platform that ensures leads always get routed to the correct salesperson. The LeanData platform lives within your Salesforce instance and allows you to customize your organization’s lead flow to suit your sales strategy using an intuitive drag-and-drop interface. With LeanData, those all-important leads will never get mishandled again. Read our eBook to see how leading companies are using LeanData’s routing solution to orchestrate their sales process and maximize the value every lead.